THE ambitions of Blue Diamond Stud continued to be realised during 2018 by Aljazzi, whose rise to sit within the elite of her division encapsulated the ethos of her breeders Saleh Al Homaizi and Imad Al Sagar. The homebred filly was among the highlights of a year that also featured record-breaking sales, notably via Aljazzi and our G1 producer Pearling, and a strong showing by Decorated Knight at the Tattersalls December Sale, where he was represented by mares in foal that sold for 675,000gns, 440,000gns and 320,000gns and returned a covering average of 108,896gns as a result. At Blue Diamond Stud, the emphasis remains on quality with an eye to success. And despite the stud’s short history, such an approach has already brought rewards via our outstanding homebred triple Group 1 winner Decorated Knight and Group 2 Gimcrack Stakes winner Ajaya. In Aljazzi, who was particularly special as a representative of two generations of Blue Diamond breeding, there was further cause for celebration over the course of 2018. Long held in high regard by Marco Botti, the daughter of Shamardal had enjoyed a productive season in 2017, notably when successful in the Group 3 Atalanta Stakes at Sandown Park. With further improvement likely, she remained in training for 2018 and didn’t disappoint. 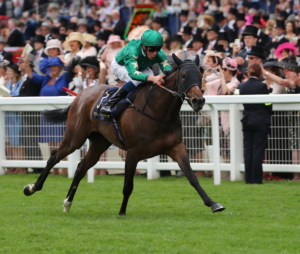 After running a fine third on unsuitable ground in the Group 2 bet365 Mile back at Sandown, she ran out the ultra impressive winner of the Group 2 Duke Of Cambridge Stakes at Royal Ascot, a race in which she had finished second the year before. Held up on this occasion by William Buick, she made a sweeping move to take command and quickened clear for an easy three-and-a-half length success. 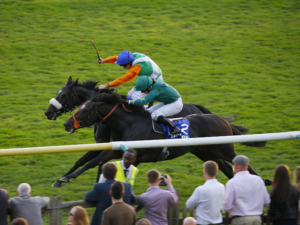 Tribute Act was best of the rest while Group 1 winner Hydrangea was well beaten in eighth. 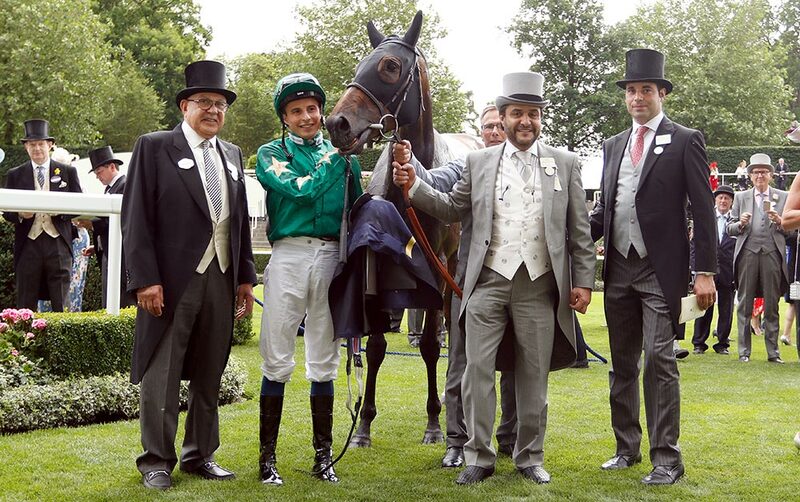 “It was always the plan to bring Aljazzi back here this year,” said Marco Botti, who was celebrating his first Royal Ascot winner. Aljazzi went on to run a creditable fourth in the Group 1 Prix Jean Romanet on unsuitable ground at Deauville before heading to the Tattersalls Autumn Horses In Training Sale in Newmarket. 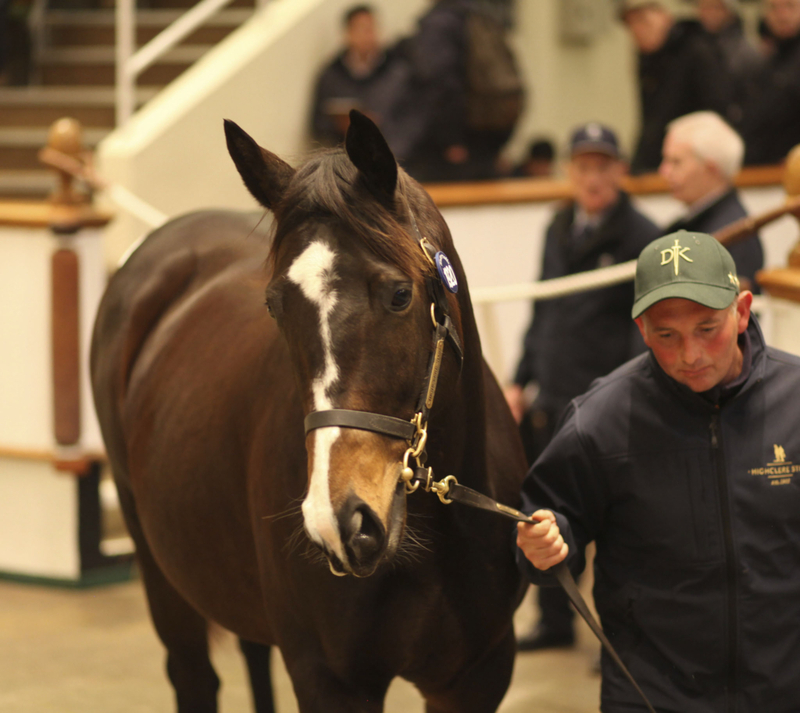 It was at Newmarket that Aljazzi made history when selling for a sale record of 1 million guineas to Newsells Park Stud. She is due to visit Galileo in 2019 and we wish them the best of luck with her. Aljazzi was particularly special to Blue Diamond as a granddaughter of foundation mare Majestic Sakeena, who joined the stud when purchased by Tony Nerses for 200,000gns in 2006. Aljazzi is the first foal out of Nouriya, another stud homebred who carried our colours to victory in the Listed John Musker Stakes and Listed EBF Lyric Stakes. In turn, Nouriya, by Danehill Dancer, is a half-sister to the Listed-placed Lady Nouf and Balmoral Handicap winner Yuften, who also finished second past the post in the Group 1 Prix Jean Prat. Nouriya was one of the many mares that we sent to Decorated Knight in 2018. We had another day to remember later on in the season at Newmarket when Euginio won the Group 3 Darley Stakes. A tough character trained by Richard Hannon, Euginio showed all his battling qualities to deny Forest Ranger in a thrilling finish. It was the culmination of a good season for the son of Fastnet Rock – a 155,000gns yearling purchase by Tony Nerses – who had previously won in good company at Doncaster, run second in the Listed Wolferton Handicap at Royal Ascot and third in the Group 3 Earl Of Sefton Stakes at Newmarket. 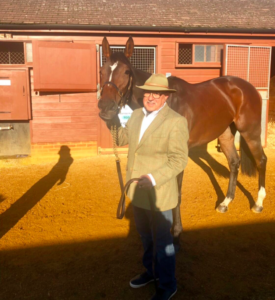 He headed to the Tattersalls Autumn Horses in Training Sale as the winner of five races and approximately £140,000 in earnings, and deservedly was one of the auction highlights at 400,000gns. The exciting Extra Elusive, meanwhile, will continue to race this season in our green silks. Another homebred – in his case a Mastercraftsman half-brother to Ajaya – he made a bloodless return to action for Roger Charlton in June when running away in a Nottingham novice. He wasn’t disgraced next time when second to the highly regarded Elwazir in a hot handicap at Ascot and swiftly returned to winning ways when the impressive winner of a good handicap at Kempton. He found the ground against him when down the field in the Group 3 Legacy Cup at Newbury on his final start and remains a colt of great potential, one whose striking physique promises further improvement as time goes on. He is an exciting prospect for 2019. Hopes also run high for fellow homebred Riviera Nights. The son of Kingman ran out the easy three-length winner of his maiden at Brighton for Richard Hannon in September and confirmed that good impression when landing his next start, a mile nursery at Ripon, by another easy three lengths, this time under Hayley Turner. The Racing Post commented following that performance that Riviera Nights ‘should develop into a useful colt at up to 1m2f next year’, and we are very hopeful that this colt, produced by the Pivotal mare Turama, does exactly that. The Grand Visir, a yearling purchase by Tony Nerses, also had a productive season. Tried over longer distances by William Haggas, he rewarded that strategy in late May by landing a competitive handicap at Haydock. After a mid-summer break, he returned in October under the care of John Butler to make short work of a 1m6 1/2 furlong handicap at Doncaster, despite shouldering top weight of 10 stone. A fine galloper on his day, this well-connected Frankel colt went on to make 170,000gns at the Tattersalls Autumn Horses In Training Sale to Alex Elliott. The year had begun on a bright note back in March with the promising victory of Martineo in a novice at Wolverhampton. The homebred son of Declaration Of War, produced by the well-related Act One mare Woodland Scene, went on to be placed on three further occasions for us before selling at Tattersalls in October. 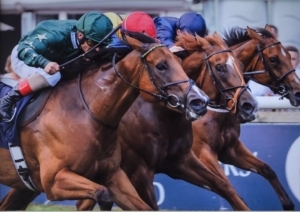 Another homebred, Epic Challenge, also showed fair form, progressing through the ranks to land a deserved success at the expense of former Listed winner Apex King in a qualifier for the London Mile Series at Kempton in early July. In doing so, the son of Mastercraftsman became the second winner out of Keep Dancing, a Distant Music half-sister to Alhebayeb. 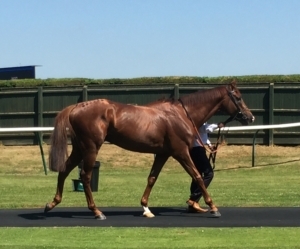 Overall, July was a fruitful month for the stud as homebred Green Fortune struck at Yarmouth and Gorgeous Noora, a yearling purchase by Tony Nerses, swooped late to win her third race, a competitive sprint handicap at Newmarket. Green Fortune, then trained by Robert Cowell, owns plenty of talent and it all fell into place for him on that sunny afternoon at Yarmouth as the son of Sayif quickened well in his first time visor to win cosily. Gorgeous Noora was subsequently sold for 200,000gns to David Redvers and has since struck in Listed company for her new connections. There was further homebred success several days later when Aaliya, trained by Amy Murphy, made all to break her maiden at Lingfield. It was only the second run for the daughter of Invincible Spirit out of Rappel. Meanwhile, another homebred filly, Madam Devious, broke her maiden in October when successful in a 5f novice at Newcastle. In the process, the Robert Cowell-trained Dutch Art filly became the first winner from as many runners out her winning dam Bouyrin, a half-sister to Oh So Sharp Stakes heroine Alsindi. Blue Diamond also played a hand in a notable landmark for Godolphin in August as the breeder of Expecting To Fly, who became the owner’s 5,000th winner with victory at La-Teste-De-Buch. The daughter of Iffraaj is the first foal out of Group 3 winner Lady Wingshot, who joined the stud when purchased as a broodmare prospect by Tony Nerses. Aljazzi earned her place in Tattersalls history last October when selling for a sale record of a million guineas at the Tattersalls Autumn Horses in Training Sale. The daughter of Shamardal was sent to the ring as the winner of five races, including the Group 2 Duke Of Cambridge and Group 3 Atalanta Stakes, and duly created quite the stir when hitting seven figures to the bid of Julian Dollar of Newsells Park Stud. “She was the only horse I was interested in here,” said Julian Dollar. “It’s quite unusual to see a filly of her calibre here in the Autumn Sale but then she stood out. The same sale also saw Group 3 winner Euginio sell for 400,000gns; Lady Rasha sell for 320,000gns; and Extra Elusive sell for 300,000gns. 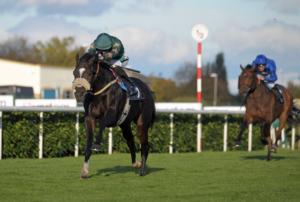 The stud also enjoyed a powerful showing at the Tattersalls December Sale. 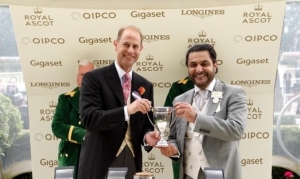 Pearling, originally purchased by Tony Nerses for 1.3 million guineas in 2011, returned to the marketplace to top the entire sale at 2.4 million guineas, again to Tony Nerses – although on this occasion acting entirely on behalf of Imad Al Sagar. Meanwhile, Pearling’s 2018 Galileo filly topped the foal sale when knocked down for 1.7 million guineas while her winning daughter Ambrosia, a Frankel three-parts sister to Decorated Knight, made 1.3 million guineas to the major Kentucky operation WinStar Farm. All in all, Pearling and her daughters accounted for 5.4 million guineas worth of gross sales at the Tattersalls December Sale. 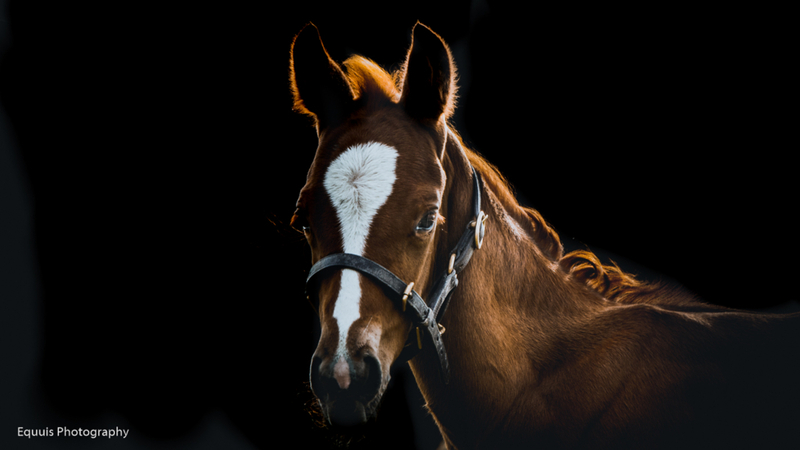 The Galileo filly out of Pearling was the only lot to break the million guinea mark at the Foal Sale, and indeed was the world’s highest priced filly foal of 2018. However, another member of the draft, the Sea The Stars filly out of Group 3 winner Princess Noor, also had her time in the sun when knocked down to Tony Nerses for 600,000gns. Princess Noor herself was also deservedly popular, selling in foal to Decorated Knight for 675,000gns to David and Diane Nagle’s Barronstown Stud. She was originally bought by Tony Nerses for £120,000 as a yearling. The draft also included Fadillah, our winning Monsun half-sister to Group 1 winner Seismos, who was sold for 700,000gns to Katsumi Yoshida; Listed winner Dawn Of Hope, who made 400,000gns to Blue Diamond Stud UK; homebred Miss Nouriya, who sold for 400,000gns to River View Farm; and Group 3 winner Shaden, who made 370,000gns. Princess Noor, Dawn Of Hope and Shaden were each sold in foal to Decorated Knight, and indeed he ended that particular sale with an outstanding covering average of 108,896gns – a fitting reception for a regally-bred, triple Group 1-winning son of Galileo. The stud it heads into 2019 with a strong base of high-class mares on which the emphasis is definitely on quality. Currently, it is home to eight stakes winners and/or producers. The mighty Pearling, a sister to Giant’s Causeway who bred Decorated Knight for us, leads the way alongside her Galileo yearling filly, a sister to Decorated Knight. Pearling is back in foal to Galileo and returns to the phenomenal stallion once again in 2019. The list also includes Nessina, the dam of Ajaya and Extra Elusive, Nouriya, herself a Listed winner who is the dam of Aljazzi, Group 3 winners Shaden and Lady Wingshot, and Listed winners Dawn Of Hope, Princess Loulou and Soon. Alongside the mares, we own a quality selection of two-year-olds with which to go to war, among them the Frankel half-sister to Aljazzi, the Fastnet Rock half-brother to Ajaya and Extra Elusive and a Zoffany daughter of Lady Wingshot. 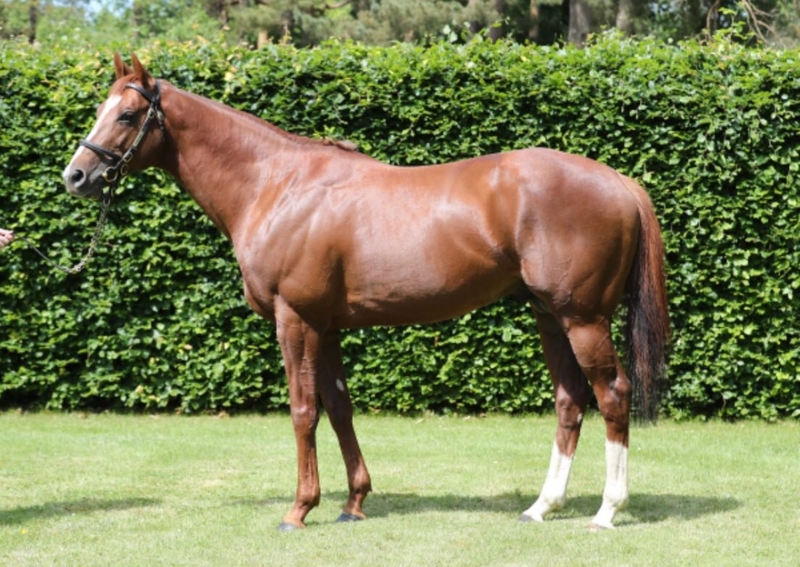 The stud is also currently buzzing with the arrival of the first foals by Decorated Knight. We have five on the stud so far, namely colts out of Arwa (a half-sister to Order Of St George), Miss Laila and Shaden alongside fillies out of Dawn Of Hope and May Rose. All have impressed with their quality, class and athleticism. Decorated Knight is also the sire of an Irish-based striking colt out of our Group 3 winner Princess Noor. We are confident that Decorated Knight owns all the attributes to excel at stud and we look forward to supporting him again in 2019. 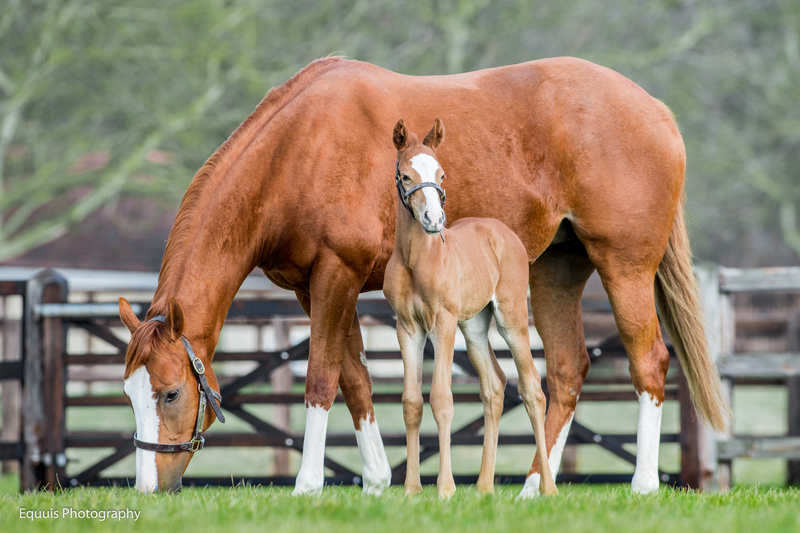 TO SEE A SELECTION OF DECORATED KNIGHT’S FIRST FOALS, CLICK HERE.